On 15th August 2017, HubSpot released a Partner Day Sneak Peek Live webinar on Zoom about the new Campaign Reports and Analytics features coming soon. These new elements are currently being beta tested on partner accounts, and HubSpot will announce when the features are in full swing. Don’t worry! You won’t have to pay extra for these awesome benefits: they come FREE with every HubSpot marketing subscription, so whether you have Basic, Pro, or Enterprise, you can use the new Analytics tools to showcase your ROI for your directors, your CEOs, or your clients. Basically, HubSpot are coming out with Campaign Analytics. HubSpot realised - when they asked partners and users how they report how well their campaigns are doing and how they presented that information to clients - that there was a problem with how everything was set up and how easy (or not easy) it was to generate some sort of report. So, just as you can generate an analytics report for social messaging or blogs, HubSpot will now do the same for campaigns. 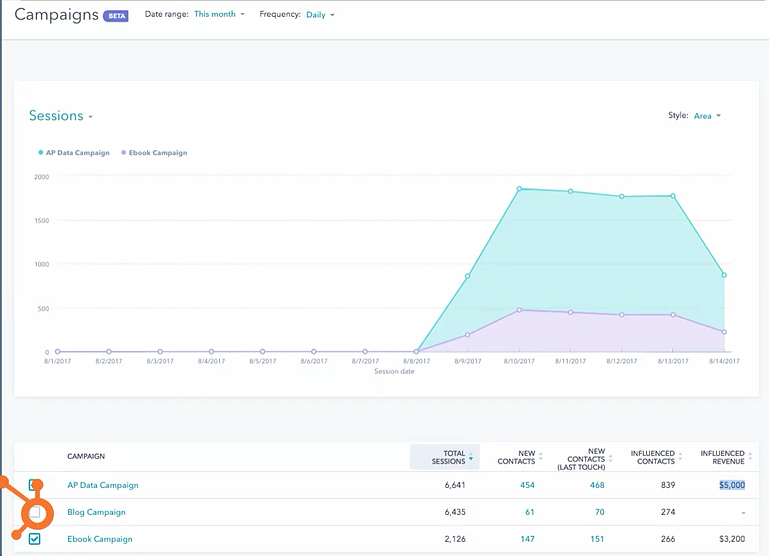 For example, you can track your conversions across campaigns. If your new customer first learned about your company through a blog - that would be noted - and if their last click was a content download before they converted - they’d note that too. If those pieces came from two separate campaigns, both campaigns would get “credit” for the conversion. But it won’t just track first-time users, it’ll also track how you continue to delight your existing customers. How engaged do they remain? Which campaigns impact them after they’ve converted? Now you can know! Prior to these analytics being developed, clients wanted to know the return on investment of Inbound; they wanted to be shown the bottom-line impact, but there was no way to show it. The founder of HubSpot puts it in these roundabout terms: clients want to hear that when they put a dollar (or pound) into the machine, two dollars (or pounds) come out. When you can’t show them that direct impact, they get frustrated and they aren’t able to understand fully the impact of their inbound dollars (at least not the way your agency does). But we want them to be able to understand where their money goes, and that inbound works, so these tools will be an exciting addition. The new analytics tools and upcoming dashboards will allow you to see your website, blog, landing page, email, workflow, and social reports in one place - and how much these campaigns are making in real time. Here’s a screenshot of the release. It shows how you can customise the metrics (i.e. this analysis ignores blog campaigns), and show the total sessions, new contacts, what those contacts touched last (blog post, LP, eBook, etc before conversion), which contacts are influenced by what (i.e. how you continue to delight your existing database), and the revenue influenced (how much you’re making from each element). You can set a custom date range as you can for other HubSpot reports, and you can include whichever campaigns you wish to analyse. No more list creation, no more enterprise reporting. You can save time, effort, and money and find out how revenue is generated all in one dashboard. So, most of us know that campaigns are defined as a “time bound marketing initiative centered around conversion” which are made up of landing pages, blog entries, social messaging, promotions, email marketing, workflows, ads, and so forth, all centered around one single conversion. Prior to the change, a campaign was really just like a folder, a way to find and sort your materials, but it didn’t help for reporting. Some agencies found other metrics to report to clients through complicated means (i.e. creating a detailed manual list for every single campaign to show who interacted with that campaign and using the Enterprise reporting add on, which had to be generated manually), and others used only top of the funnel metrics such as email click through rate or open rate to report to clients, which didn’t show the whole picture. Other companies used data wrangling to get numbers, and to give a bottom line, but - as you can see - nothing was really perfect. Not to mention the amount of time it would take your marketing team to generate useful reports most likely wasn’t worth the effort. A better way to collect campaign analytics through a campaign dashboard (Voila! It’s upcoming!). A way to calculate contact influence, the goal being to see direct engagement existing leads instead of simply showing new leads - since both are important. A way to see how campaigns are tied in with revenue. What’s the bottom dollar! Create content as usual along with landing pages, blogs, emails, social messages, downloads, and so on. Associate all content with the relevant HubSpot Campaign. Let the reports run themselves! The report will tell you how customers were influenced to close - which content delighted and attracted them, and what was the last thing they looked at before conversion? When the deal is closed, credit will be given to all influencing campaigns, even if there’s more than one. So, in three simple steps, your campaign reports will write themselves! Saving everyone time and money, and making everyone happier in general. Because, seriously, why didn't this happen sooner? At Digital 22, as a Platinum HubSpot Partner Agency, we think Campaign Reporting and Analytics will be invaluable. We’re super duper excited for this report to come out of beta testing and onto our clients’ accounts. But even those who don’t go full HubSpot can still see the benefits, so you can get data from your shopping cart integration or any other integration with the HubSpot software and add-ons you have - it’s not just for those with HubSpot CRM. The benefit of this tool is that it’s all in one (much like most of HubSpot tools). With other sites, you’d need a bunch of add ons like web analytics, CRM integration, website platform integration, landing page integration, SEO tool integration, you get the picture. The analytics tools will work for everyone all in one place. HubSpot haven’t announced a definitive launch date. As said earlier, it’s in beta testing right now, but they’ll announce its release shortly. We hope we don’t have to wait too long! It’s already on our account in beta, but we cannot wait to see it across the board. So far, it only reports on campaigns since September 2017, so there's not a whole lot on the dashboard yet. But we know it'll be a great feature once it's up and running. Everyone with a HubSpot account will have access. Since HubSpot know this tool will be indispensable, they are offering Campaign Reporting and Analytics features to all accounts with no expensive add ons - just another major benefit of HubSpot over other marketing platforms. Once this tool launches in full swing, it’ll be a crucial addition to your HubSpot account for yourself and for your clients’ accounts. It’s a great way to see your cost for conversion as well as your return on investment. 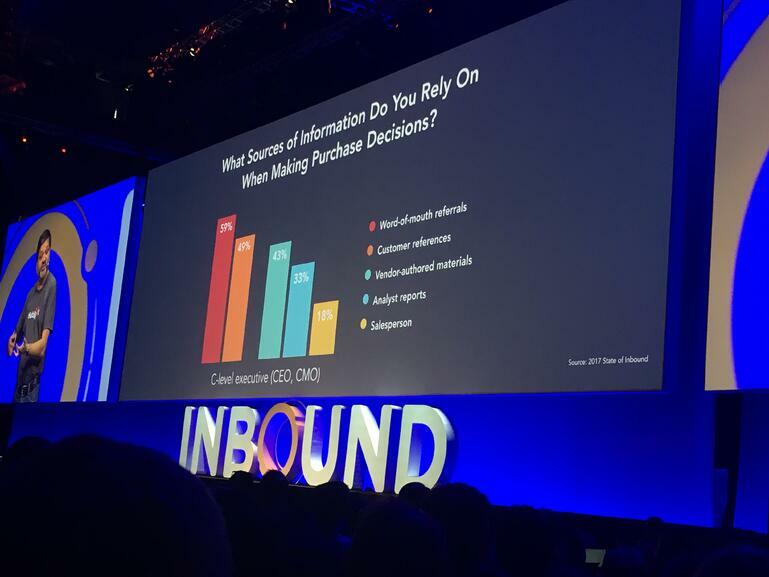 Clients can finally see what inbound really does for them - in numbers they can understand - and the importance of the work we do every single day. They can see what the money makers are - is it their emails, their blog, their content downloads - and how much it costs to produce them? All around, it’ll package everything up in a nice, easy to read and understand report, whilst saving your marketers time, which saves your company money as well. We’re excited for it. We love it so far. We hope you do too. Write in the comment section below how you feel about the launch. Still not convinced that HubSpot is the right CRM to manage your marketing?